The 1992–93 Bundesliga was the 30th season of the Bundesliga, Germany's premier football league. It began on 14 August 1992 and ended on 5 June 1993. VfB Stuttgart were the defending champions. Stuttgarter Kickers, Hansa Rostock, MSV Duisburg and Fortuna Düsseldorf were relegated to the 2. Bundesliga after finishing in the last four places. Due to a size reduction back to 18 teams, only two teams were promoted. These were Bayer 05 Uerdingen, winners of the 2. Bundesliga Northern Division and 1. FC Saarbrücken, champions of the Southern Division. ^ As Bayer Leverkusen qualified for the Cup Winners' Cup, their UEFA Cup place was transferred to Karlsruhe. 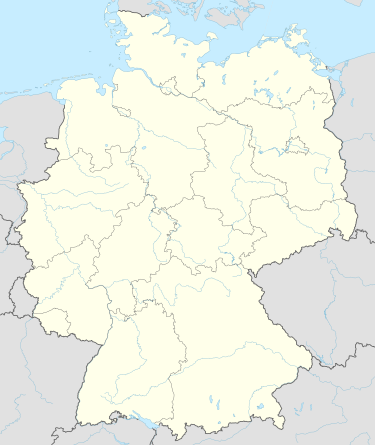 ^ The Bayer Uerdingen v Eintracht Frankfurt match from 22 May 1993, which finished with a score of 2–5, was later awarded to Bayer Uerdingen with a score of 2–0 due to Eintracht Frankfurt having more than the three allowed foreign players on the pitch. Goalkeepers: Oliver Reck (32); Hans-Jürgen Gundelach (2). (29 / 2); Ulrich Borowka (28 / 1); Manfred Bockenfeld (17); Thomas Schaaf (5). (33 / 10); Miroslav Votava (33 / 3); Dieter Eilts (24 / 1); Thorsten Legat (23 / 1); Uwe Harttgen (12 / 2); Günter Hermann (5). ; Martin Przondziono; Lars Unger; Andree Wiedener; Kay Wenschlag. ^ "Archive 1992/1993 Round 34". DFB. Archived from the original on 8 June 2011. ^ "Bayer Uerdingen – Eintracht Frankfurt" (in German). fussballdaten.de. Retrieved 5 December 2011.